Myself and the rest of Helixx have been working hard promoting VR for the last 2 years. We have giving away 100's of Vr games made 100's Videos and have tried get more people into Buying VR. 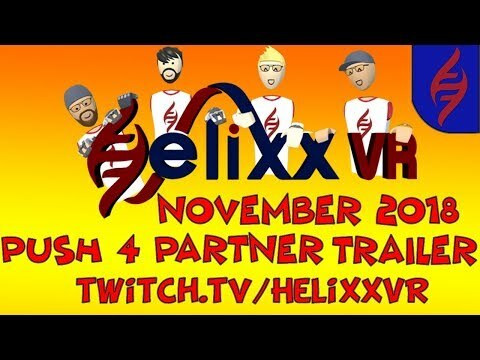 But now is the Time that Helixx asks for you to help us out, give a little love back and help us achieve a goal that will put us in a stronger postition to continue promoting VR. The Bigger we get the more developers we get to work with and the better giveaways we can give you. Please Support us, Tell your friends, tell your family tell everyone that will listen. Se7en and the rest of the HelixxVR crew are awesome. Make sure to check them out and help them on their path.